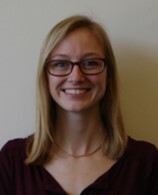 Since May 2015, Maggie has been conducting research with Dr. Cassandra Fraser in the Department of Chemistry. The Fraser Lab studies the synthesis and applications of dual-emissive polymeric materials for oxygen sensing and imaging in biomedical contexts such as tumors, wounds and the brain. The dyes are luminescent difluoroboron b-diketonates that are covalently linked or blended with a biocompatible polymer, such as poly(lactic acid), and precipitated into nanoparticles. Maggie’s projects in the Fraser Lab have a focus on the molecular design of the luminescent boron dyes, with efforts to elucidate the trends for tuning their optical properties. Outside of the lab, Maggie is an active member of Club Swim as well as Alternative Spring Break at UVA. She has also worked as an Organic Chemistry Lab TA for the past two years. Next year, she will begin pursuing a PhD in Materials Science at the University of North Carolina at Chapel Hill. Bachelors of Science in Chemistry with Specialization in Biochemistry.